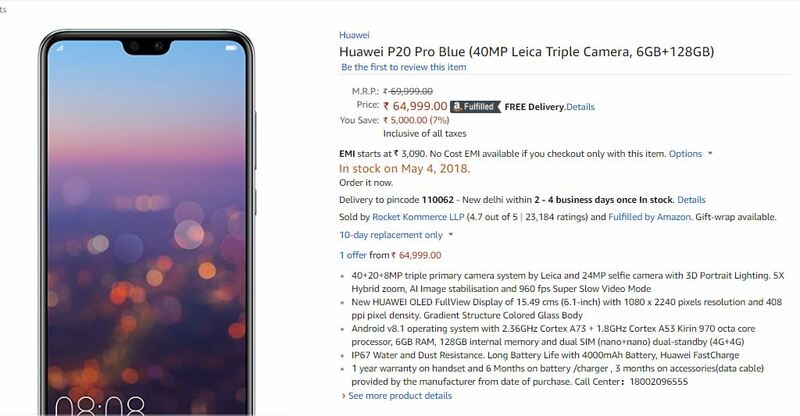 The two new smartphones, the Huawei P20 Pro and Huawei P20 Lite, are first sold in Amazon, India. In terms of price, the Huawei P20 Pro is priced at ₹ 64,999 Indian rupees (approximately $975), and the Huawei P20 Lite is priced at ₹ 19,999 (approximately $300). In terms of configuration, the Huawei P20 Pro uses a 6.1-inch 2240×1080 display with a Kirin 970 octa-core processor. This chip is based on a 10-nm process and is composed of a Cortex A73×4+Cortex A53×4. 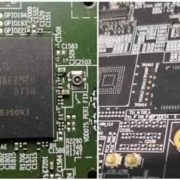 The GPU is a Mali-G72 MP12. Equipped with 6GB of memory and 128GB of storage, the battery capacity is 4000mAh. In terms of photography, Huawei P20 Pro is equipped with a 40+20+8MP triple primary camera. It supports laser focus, depth focus, phase focus, and contrast focus, and supports Huawei AI image stabilization. The front camera is 24 MP, support AI beauty. 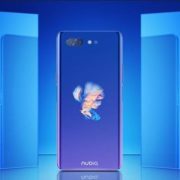 Huawei P20 Lite uses a 5.84-inch 2280 x 1080 display, equipped with a Kirin 659 eight-core processor, equipped with 4GB of memory + 64GB storage, rear 16 MP+ 2 MP dual camera, the front camera is of 24 million pixels, the battery capacity is 3000mAh.